100 interviews with great software developers. "Shawn Wildermuth brings you his "Hello World" podcast where we learn about how your favorite developers tell their story of how they got started writing software!" 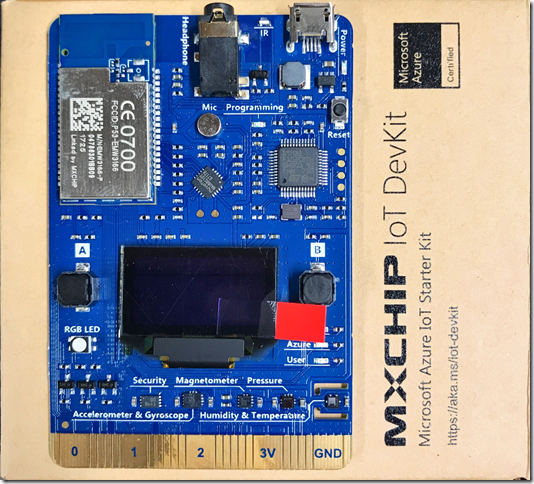 "Build a cloud powered IoT app in minutes using Microsoft Azure services with this fully Arduino compatible board. SoC module combines the power of the ST Microelectronics STM32F412 at its core and Cypress BCM43362 for WiFi. On-board peripherals include an OLED screen, headphone output, stereo microphone and abundant sensors like humidity & temperature, pressure, motion (accelerometer & gyroscope) and magnetometer. 25 external GPIO pins on the edge connector allow you to connect many external sensors and actuators."